We are so proud that St. Andrew Nativity School is part of the St. Andrew Parish campus. St. Andrew Nativity School is a tuition-free and Catholic middle school in the Jesuit tradition committed to serving young people of all faiths from low-income backgrounds. 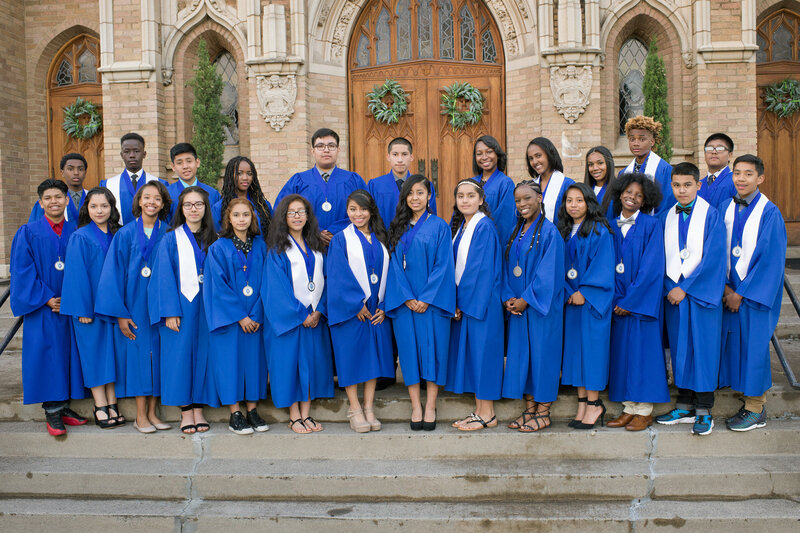 Nativity School cultivates in its students the spiritual, intellectual and personal strengths that empower them to continue their education toward college and career readiness and become people for others. Because education has always been an important part of our mission, the decision to close the doors of our parochial school in 1988 was met with sadness. In 1998, when parishioners approached the Jesuits about starting a Nativity School at St. Andrew Parish, there was much enthusiasm and excitement in the community. In 2001, the St. Andrew Nativity School opened its doors to its first sixth grade class. The relationship between St. Andrew Parish and St. Andrew Nativity School is a partnership based in a shared mission. The two are separate organizations, unlike the relationship between a parochial school and its parish. However, the two are closely connected by our shared commitment to justice and transforming lives.